* FREE DELUXE SAMPLE: Free deluxe sample of Confidence in an Eye Cream valid on orders of $50 or more (pre tax and shipping). Offer code EYEBRIGHT Offer expires 4/30/19 (11:59 p.m. ET.) While supplies last. * IT GIRL SHOPPING PERKS: Products in tote bag are not included. Only available at www.itcosmetics.com. One (1) per customer please. Three (3) free samples per customer per order please. While supplies last. 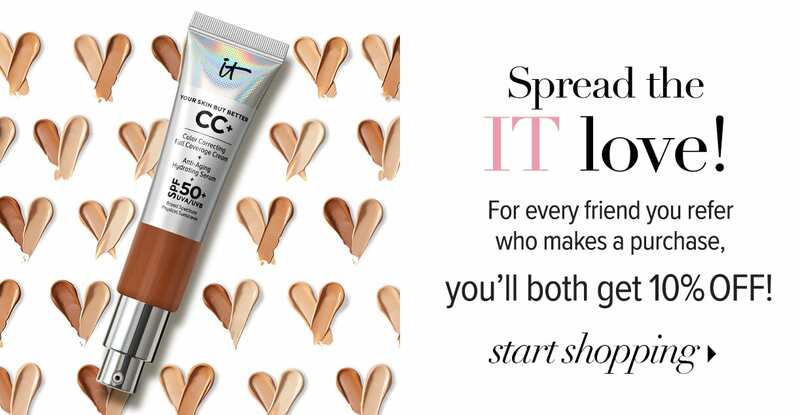 * FREE SAMPLES: Sample selection valid only at itcosmetics.com. While supplies last. Three (3) samples per customer per order please. 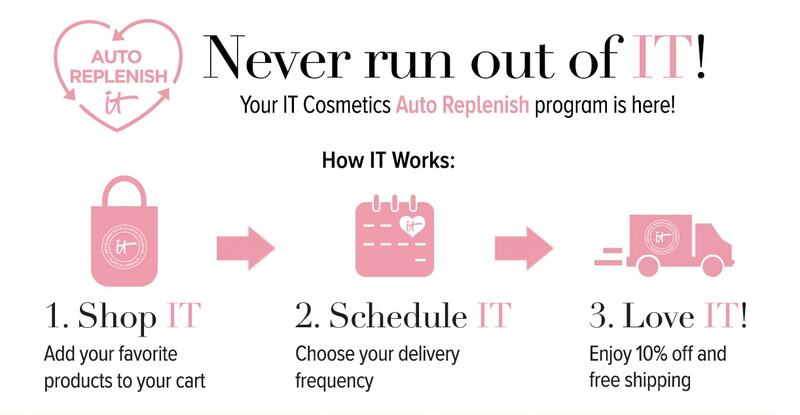 PLEASE NOTE: IT Cosmetics™ reserves the right to cancel any order due to unauthorized, altered or ineligible use of offers, and to modify or cancel promotions due to system error or unforeseen problems. Available at itcosmetics.com. Not valid on retailer websites or TV Offers. Offers cannot be combined with any other offer or be redeemed for cash. Availability of products are subject to change without notice. We reserve the right to make product substitutions of “like kind” provided it is of equal or greater value. Not valid on previous or pending purchases, or to orders placed after offer expiration date. 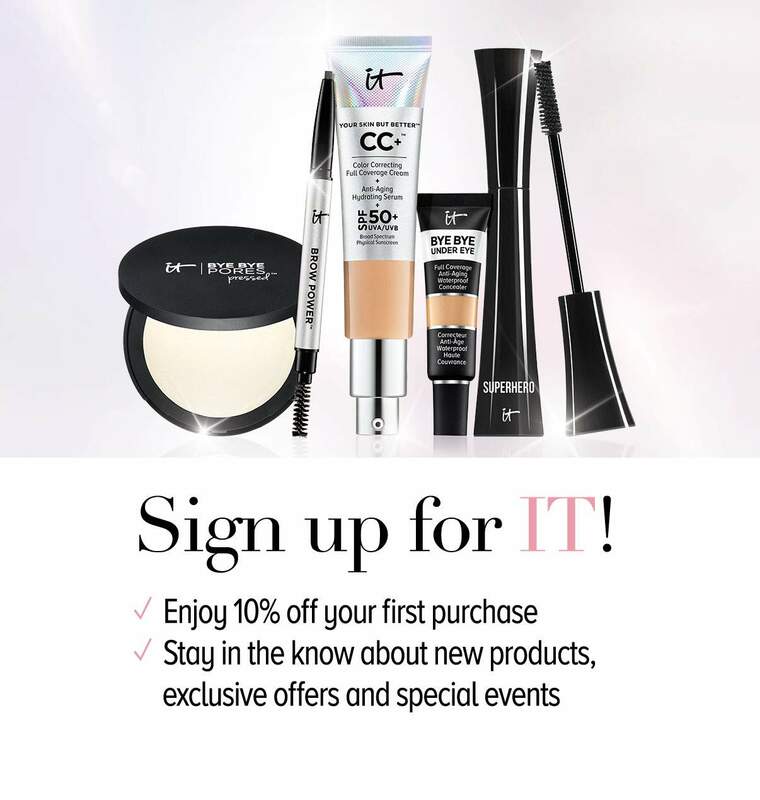 Use of any promotion constitutes acceptance of all Terms & Conditions at itcosmetics.com.